Specifically designed to work with the entire line of Touch 'n Foam Professional Gun Foams, our precision and long barrel applicators make sealing and adhesive applications easier than ever. The Precision Gun Foam Applicator allows for a more precise control of bead size than straw-dispensed foam. Applicators provide a small extended reach that improves maneuverability in tight areas and are easily cleaned for reuse. 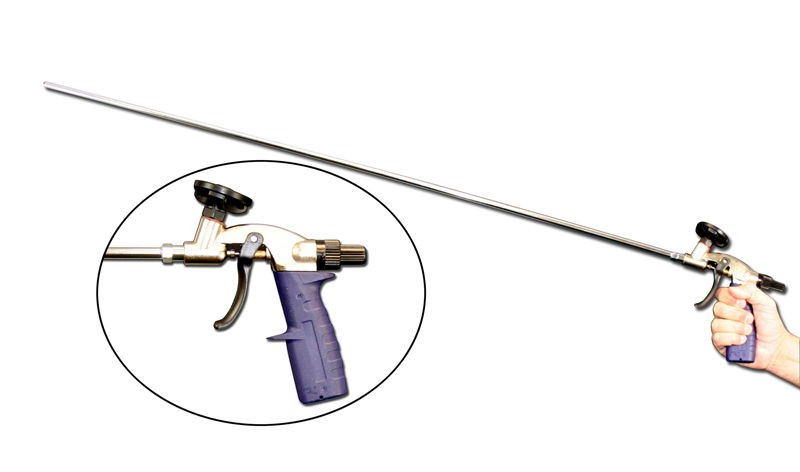 The Precision Gun Foam Applicator’s size and design allow for you to quickly address air sealing gaps and cracks as well as adhering surfaces. 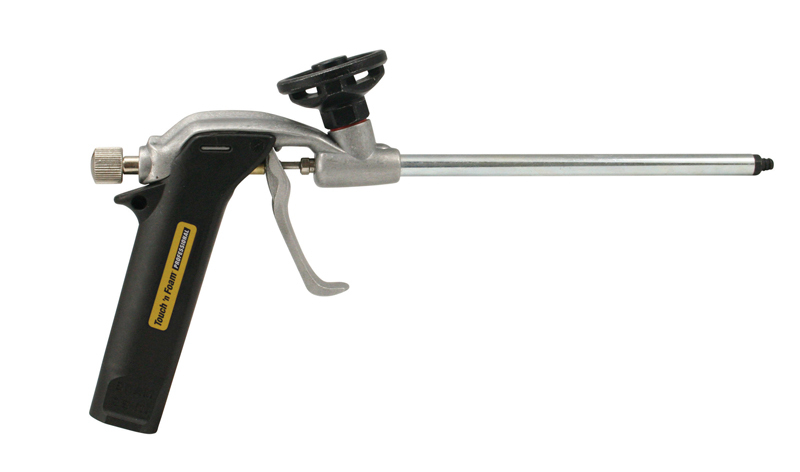 Like the Precision Gun Foam Applicator, the Long Barrel Gun Foam Applicator offers a flow know to control bead size. The 46” long barrel makes it easy to apply Touch ‘n Foam products to floors, such as subfloor adhesive applications and air sealing gaps found on floors and ceilings. The Long Barrel Gun Foam Applicator also makes work easy on your back.